Having traveled to 114 countries for more than a decade, I've stayed at some of the best resorts in the world. If we do the math, I've checked into an average 36 to 50 five-star properties annually in almost 13 years. Considering I'm old-school (pre-social media) and started in my early twenties, and I was always freelance—unlike travel editors who can't leave their desk all the time—I've had this amazing opportunity to stay in more than 500 luxury hotels! Through my career, I've covered the best of the best resorts for a slew of luxury travel magazines, which you can see in my Portfolio and Bio, and some stand out more than others. TRAVELBINGER'S TOP TEN BEST RESORTS IN THE WORLD! 10. Amanoi, Vietnam. In 2013, I was invited to be the first travel writer to stay at Amanoi just outside Danang, Vietnam. It had been open a week, so I was literally the only guest at the property at the time (I felt like I had the entire resort to myself). Amanoi is inside a national park, has a private, white-sand beach on a bay, infinity pool and restaurants with commanding views. My villa was massive with a private pool, which I basically never left, but I was more impressed with the good energy all around. Most of the staff were plucked straight from the local village, and they were eager to be the best at service. Here, you truly feel off the radar but there's also sense of place. I wrote about it for Robb Report, among other publications. I should also mention Intercontinental Danang is up there as a close second. It's not like any other Intercontinental in the world, mostly because it's designed by Bill Bensley (think Philippe Starck meets Alice in Wonderland). 9. Six Senses Ya Noi, Thailand. I know I said these resorts are in no particular order, but I would definitely say Six Senses Ya Noi in Thailand is my favorite, if not the best resort in the world. It's on a small island in Thailand right on the beach, with gargantuan villas that are perched on the hill, so guests have unobstructed views of the sea (the main infinity pool is at the peak of the hill, so imagine the views from there!). My villa had a separate outdoor seating area, infinity pool, outdoor bathroom, sunken living room, free mini-bar, fast WIFI, the works. Further, all the restaurants' ingredients and produce come from their very own farm or gardens (there's an actual chicken coop where you can pick your eggs). The outdoor spa is thoughtful, there's a waterfall running through the restaurant (you can see it via glass floor), you can explore the authentic Thai village on bikes, pull coconuts from trees, and even downward dog every day in group classes. I wrote about the resort for many outlets, including this story for Islands magazine. My view at Six Senses Ya Noi. 8. Amangiri, Utah. As soon as I arrived at Amangiri in Utah, I found out I had to fly to Hawaii the next day to interview Kerry Walsh, so my time here was short, and I'd go back in a heartbeat. 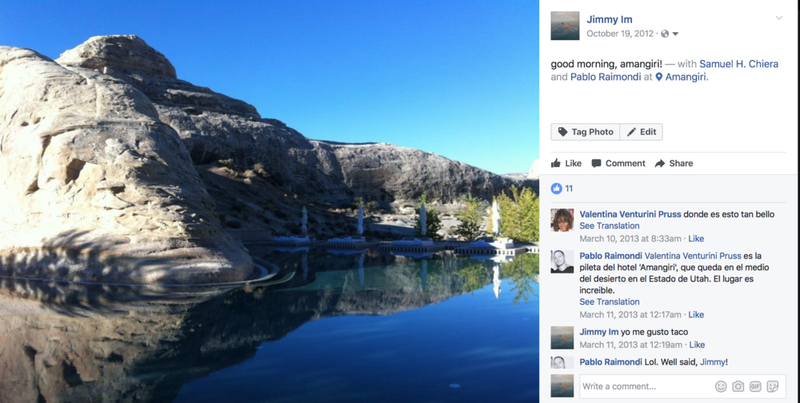 It's typical Aman (gorgeous, in the middle of nowhere, killer views), and the heart of the resort is the pool, which is built around a rock outcrop. There's about 40 rooms, so it's hard to get a booking (plan off season), which makes it rather exclusive. I wrote about it for Travel + Leisure, among others. 7. Park Hyatt Abu Dhabi. There's literally nothing to see in Abu Dhabi (OK, that's dramatic but you can see Abu Dhabi in a matter of hours). For me, it was all about the beach resorts (like Dubai, there are five-star beach resorts here). Park Hyatt had just opened, and I was the first journalist to stay. There was something here that I really couldn't put my finger on. It was simple and chic, yetopulent and glam. That's masterful design. The only other guests were rich-looking sheiks and hot Russian honeymooners, so it just felt exclusive. There's a chance I could have loved it because I didn't love Abu Dhabi, but I still think about it time to time, wondering when I can return. 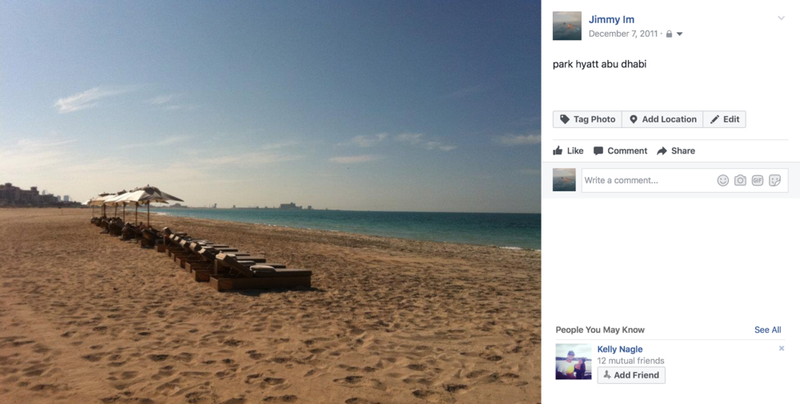 The beach at Park Hyatt Abu Dhabi. 6. One & Only Palmilla, Los Cabos. If you only knew how deep my love for One & Only Palmilla in Los Cabos goes. Everything here is done right (Jean Georges restaurant, decadent spa, backbending service, pet-friendly, beach cabanas, swank bars), but that's not what gets me. The resort has tons of soul, and you can tell everyone who works here really loves being here, which helps contribute to the good energy. It's impeccably clean, the landscaping is perfect down to the last leaf, and the location next to one of few swimmable beaches in Cabo is unbeatable. It's also *very* pet friendly. I brought my pup, Ruby, and not only are there over-the-top dog amenities (in-room pet menu, dog beach cabanas), the staff happily walked her several times (no cost). I've written about it for many publications, including this story for Hollywood Reporter. The pool at One & Only Palmilla. 5. Las Ventanas, Los Cabos. The only reason I'm including Rosewood's Las Ventanas in this list is because of its beach villas. I had stayed at the property before but when they invited me to be the first journalist to stay in their 1,600-square-foot beach villas, I dropped everything. No, SERIOUSLY. As soon as my friend and I checked in, we canceled EVERYTHING on our Cabo itinerary because we never wanted to leave. And, guess what? We didn't. 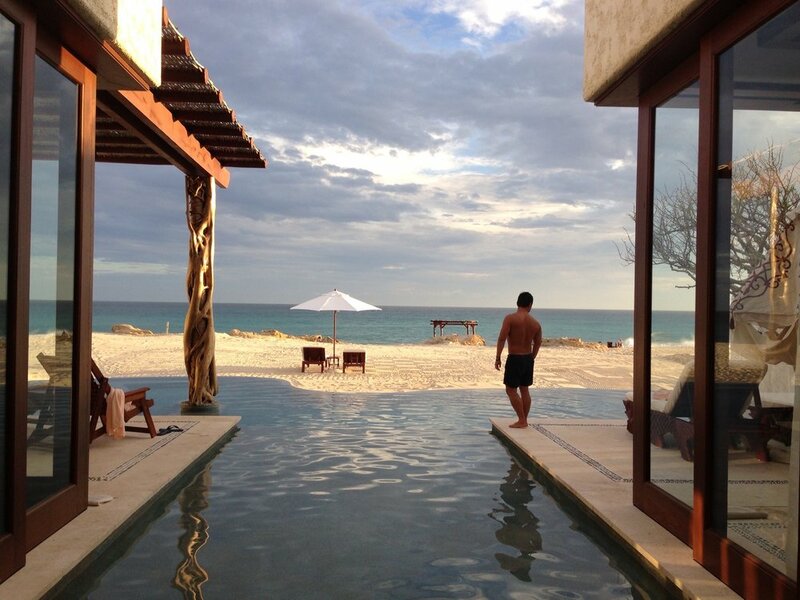 The beach villas are the only villas literally on the beach in Cabo. Guests have their own beach "section," villas are equipped with massive infinity pools with built-in hot tub and bar table, the outdoor bathroom is as big as my apartment back home and they're also equipped with Japanese electronic toilets. Guests are also buddied up with a 24-hour butler their entire stay. I think this is the first time anyone has ever prepared 20 bowls of fresh guacamole in three days. 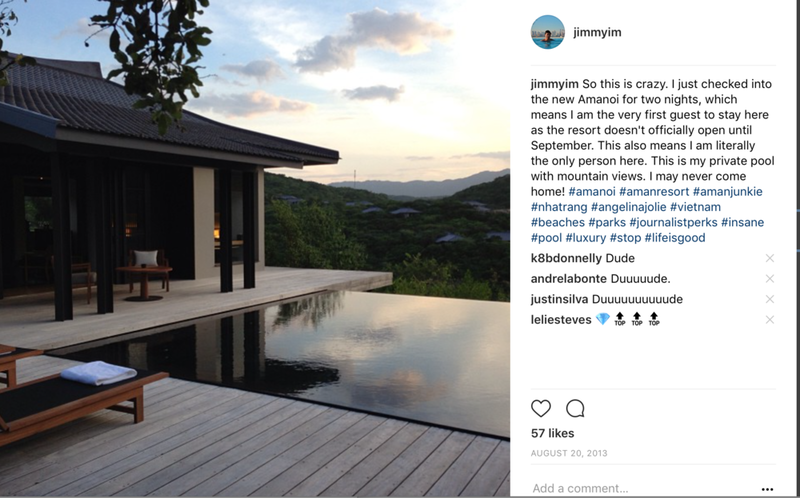 I've written about Las Ventanas for many outlets, but here's one I did on world's best hotel swim-up bars for Thrillist. Me posing like a boss at Las Ventanas beach villa. 4. Jumeirah Vitavelli, Maldives. I was just telling a friend how Maldives has some of the best resorts in the world, and it was hard picking one or two for this list. 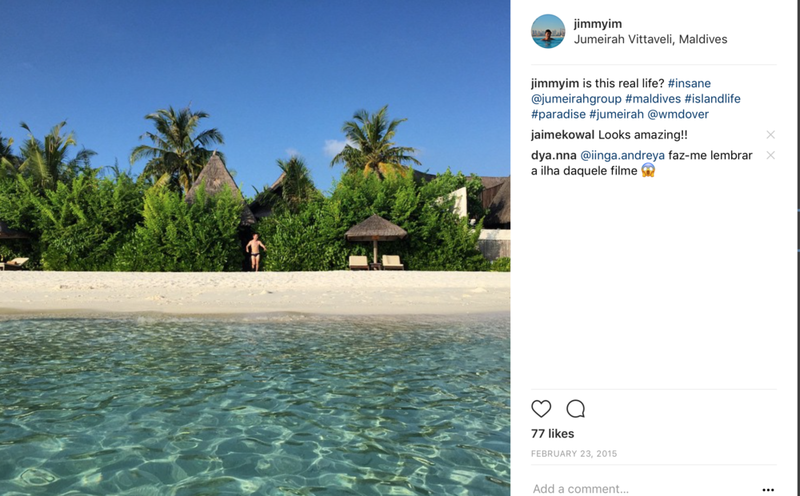 I've stayed at One & Only Reethi Rah, Conrad and Huvafen Fushi, among others, but I have to go with Jumeirah Vitavelli—and here's why. It's on the smaller side, so you feel like you're on a deserted, private island (stand in the middle and you can see both sides of the island, basically), and it manages to be incredibly glam but also incredibly rustic. One of my favorite things about the Maldives is that beach villas are literally on the beach, no more than 15 steps. You rarely find this anywhere else in the world (for instance, at any other beach resort, you'll have to cross a street, a boardwalk, go into an elevator to get to lobby level, etc etc). Here, you wake up, open your sliding glass door, and walk 15 steps into the water. That's the beauty of Maldives, but Jumeirah Vitavelli takes it to a whole other level. The beach villas sport massive pools that run the entire length of the villa that attach to an outdoor bathroom area so big it has its own hammock. Also, we need to talk about the ocean suites. The only one of its kind in the Maldives, these bi-level villas floating in sea (you can only reach them by boat) have their own pool, glass floor, bathrooms with balconies, the works. It makes the overwater bungalow look like, well... JUST an overwater bungalow. Here's a story I included it in for Passport magazine. Just steps to the beach at Jumeirah Vitavelli in Maldives. 3. Kamalame Caye, Bahamas. I visited Kamalame Caye in the Bahamas back in 2011 (!! ), and I remember thinking at the time: how does NO ONE know about this property?? I'm so happy they made this year's Conde Nast Traveler Best Resorts in the World, clocking in at number ONE in Bahamas, Bermuda and Turks & Caicos (Caribbean islands that have insanely high-end properties). Listen. How can you go wrong with "sand chariots," villas on the beach, breakfast baskets every morning, fresh fish and the only overwater spa in the Caribbean accessible by boardwalk? I've always wanted to go back. 2. COMO Shambhala, Bali. Ubud is the heart and soul of Bali, and all the top Bali resorts are here. In terms of luxury, I don't think any of them come as close to COMO Shambhala. It's all stone, natural wood, rushing river, forest, shrines... I mean, it's oh-so-Bali, but it's also oh-so posh. Celebs fly in on private jets (like Donna Karen, Ralph Lauren, etc). Here, I just chilled TF out, tapped into my holistic side, ate incredible food, did Pilates every day, the use. Terrace suite at Como Shambhala Estate. Photo: Como Hotels & Resorts. 1. Montage Palmetto Bluff, South Carolina. I love a good cottage. I love a good boardwalk. And I love Southern charm. I grew up outside Atlanta, Georgia, so going back to the South is nostalgic for me—but having this type of Southern hospitality is off the charts. 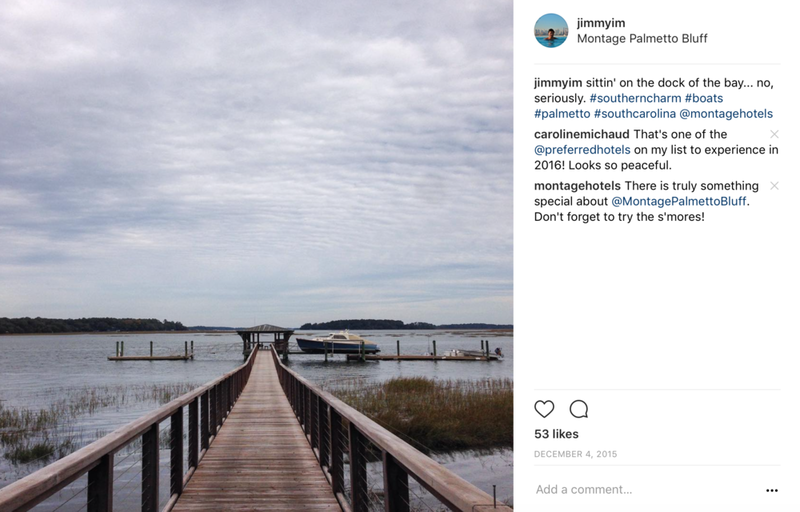 Montage Palmetto Bluff, thirty minutes outside of Savannah, is handsome, inspiring and soulful. I loved everything about it. I wanted to buy a residence here. It's a self-contained oasis where everyone says "y'all," rides bikes under trees with hanging Spanish moss and sits on their porch to read novels. MORE, please. I used to write for Montage Resorts' in-room magazine, and here's a story where I included the property. The boardwalk at Montage Palmetto Bluff.